To apply, please submit a cover letter and resume to Wendy Price, PO Box 1245, Rocky Mount, NC 27802 or email to: wprice@depc.org. Applications will be accepted until position is filled. Down East Partnership for Children is an Equal Opportunity Employer. Serves as the primary coordinator of the DEPC Child Care Resource and Referral (CCR&R) –Provider Services Program, which includes implementing and overseeing technical assistance and professional development to child care providers, and supervising all Technical Assistance Staff. Coordinates the Regional CCR&R Service Delivery System for professional development and technical assistance. Participates in DEPC’s program management team. A minimum bachelor’s degree in child development, early childhood education, human services, or other directly related field. Two (2) years paid experience as a child care teacher or administrator, or an equivalent of education and experience. Strong ability to work independently and organize multiple tasks. Strong ability to communicate ideas effectively, both orally and in writing. Initiative to plan and execute tasks and programs with minimal direct supervision. Strong understanding of adult learning styles and appropriate educational practices. Strong understanding of child development and the early childhood educational system. Ability to establish rapport and effectively communicate with individuals of varying ages, educational levels, ethnic backgrounds and socioeconomic backgrounds. 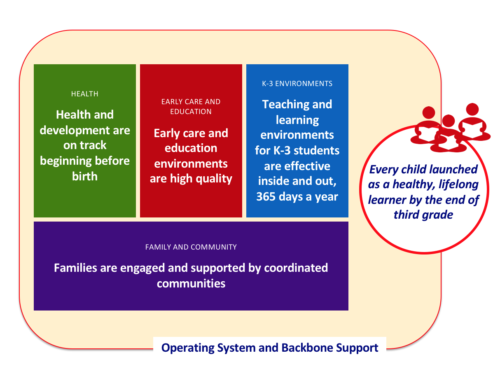 Knowledge of local, state and federal early childhood issues, resources and legislative processes. Computer experience with databases, publishing, spreadsheets and word-processing programs. Attends Lead Agency meetings conducted by DCDEE or CCSA. Oversees the completion of local and regional data reports; for Technical Assistance and Professional, including collection of data from regional partners. Travels as needed to attend and to provide training, presentations, etc.